Mystery Photo 42 was of an oriental lady standing in front of a Sea Venom. We wanted to know where the photo was taken, and when, and who she was, and the significance of the event. Several members responded correctly to the questions but Michael Payne provided the most complete answer. 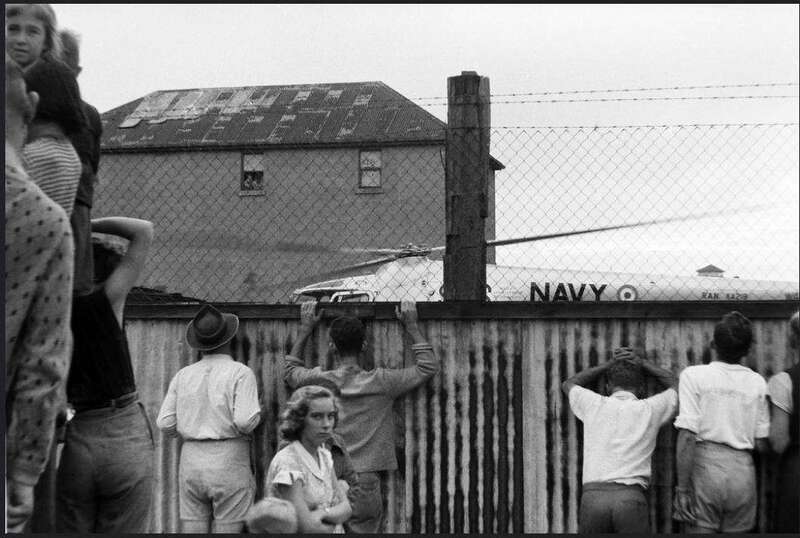 In early June 1960 HMAS Melbourne docked at Yokohama on a four-day good-will visit. Such was the significance of the occasion that the city council sent their loveliest ambassador ‘Miss Yokohama’ to greet the ship’s company. 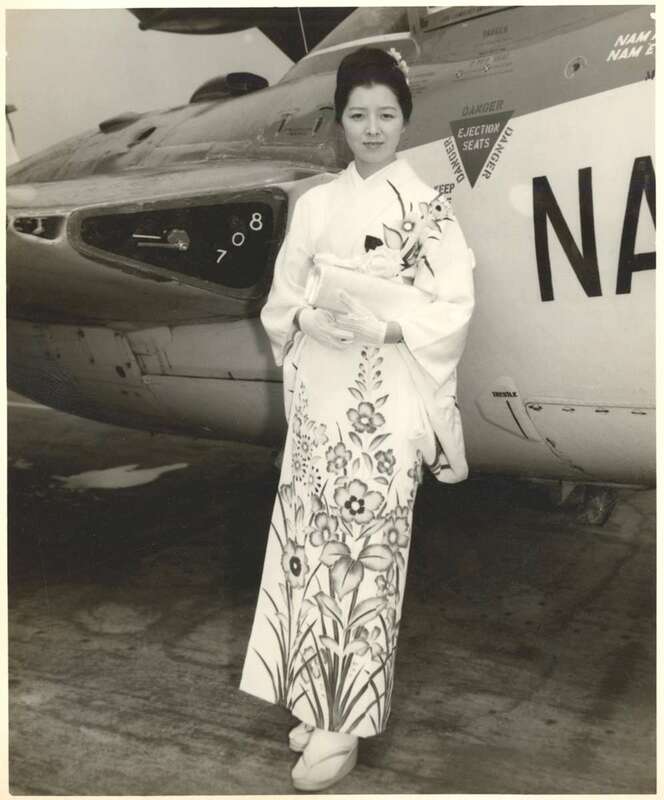 Dressed in a beautifully decorated traditional costume Miss Yokohama took time to pose beside one of ‘Melbourne’s’ De Havilland Sea Venom FAW 53s. During the visit the crew of HMAS Melbourne responded by entertaining a group of boys and girls from a Yokohama orphanage. Despite the language barrier the children enjoyed themselves. And so did the sailors who took time to show them around the ship – then put on an afternoon tea party for them. 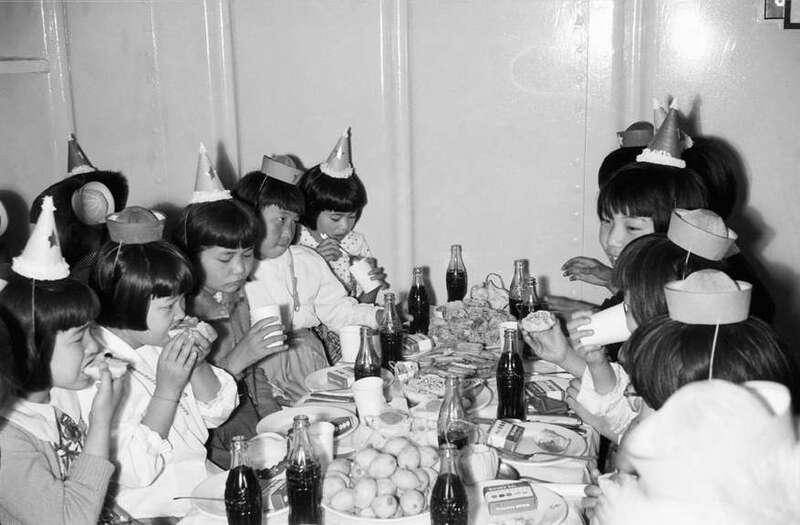 Along with the party hats, ice-cream and other treats, loquats were placed on the table – a fruit considered a treat by the children.